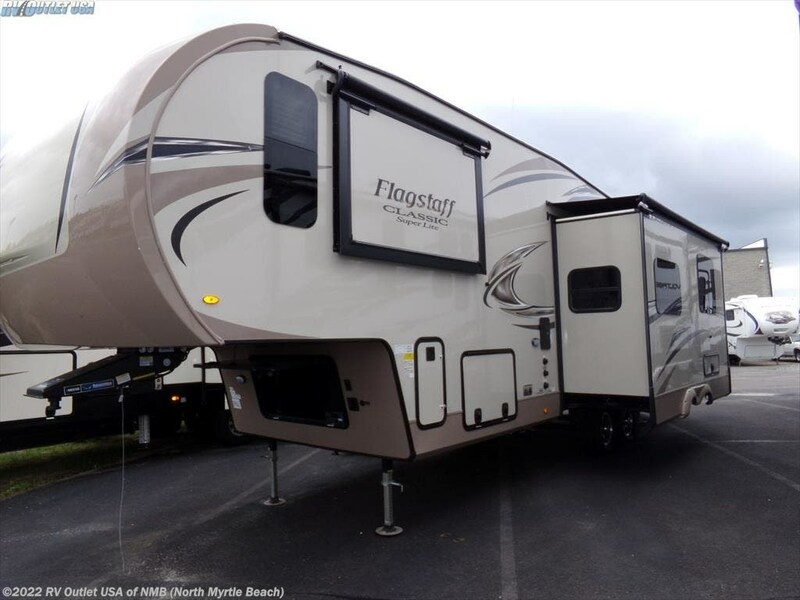 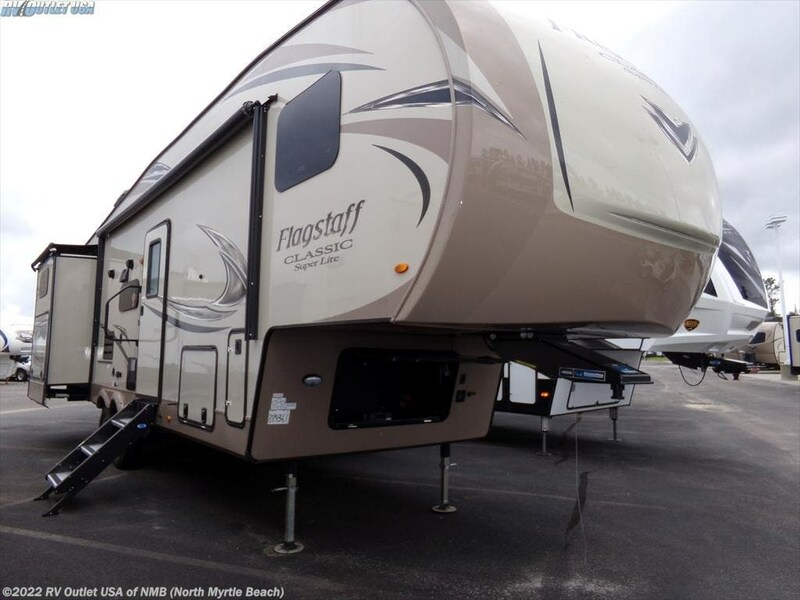 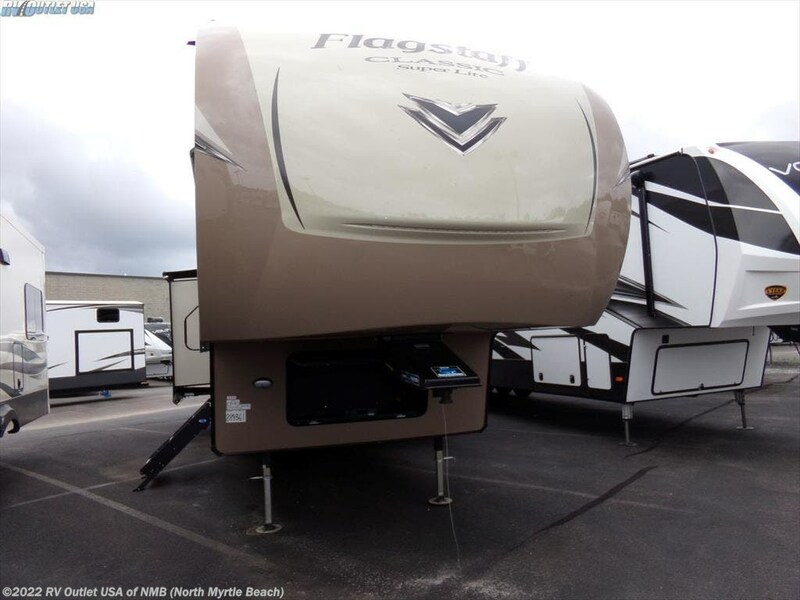 Introducing our new 2019 Forest River Flagstaff 8528BHOK. 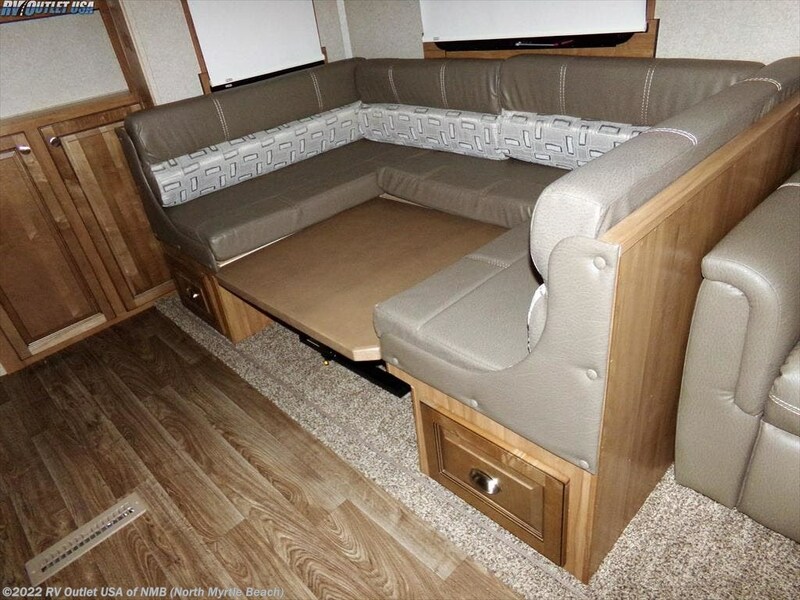 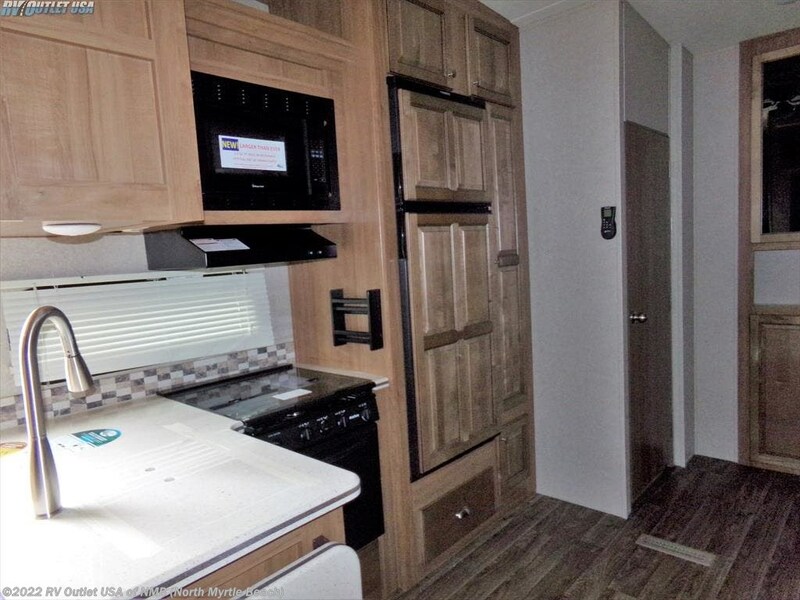 This is the new bunkhouse fifth wheel floor plan that the whole family will love. 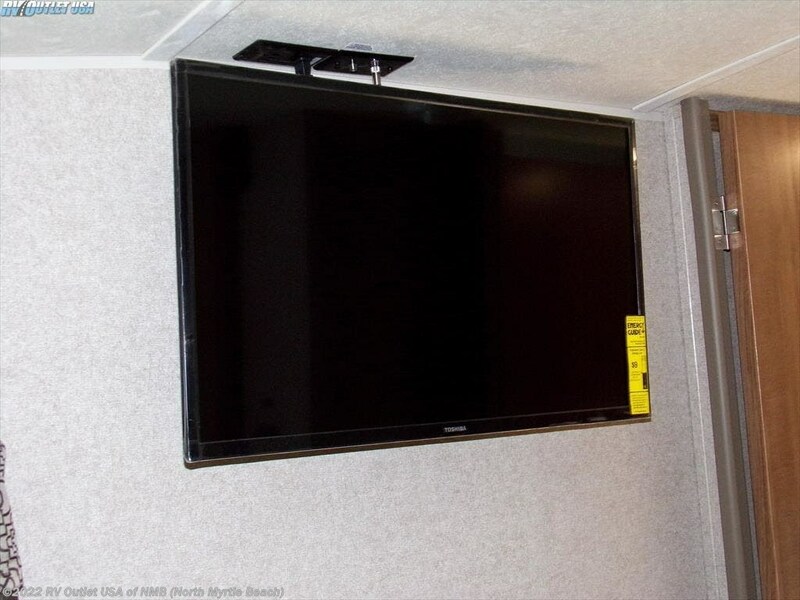 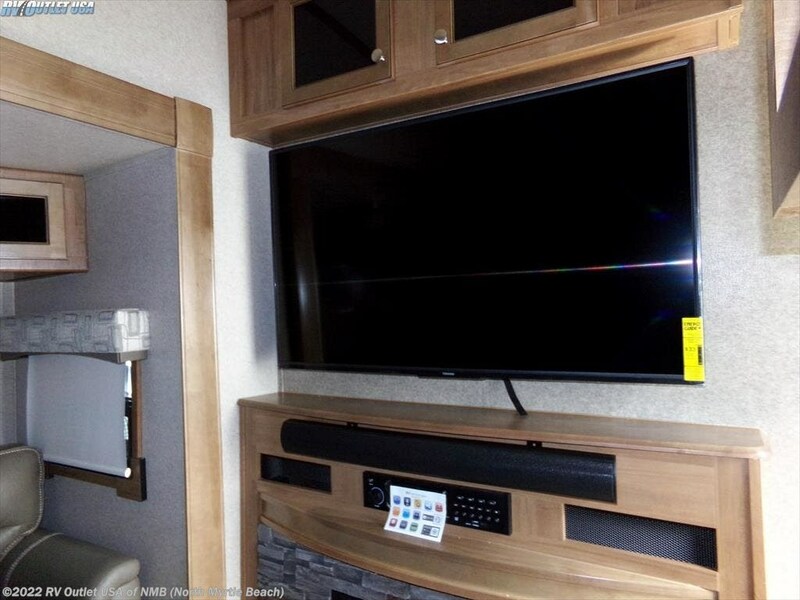 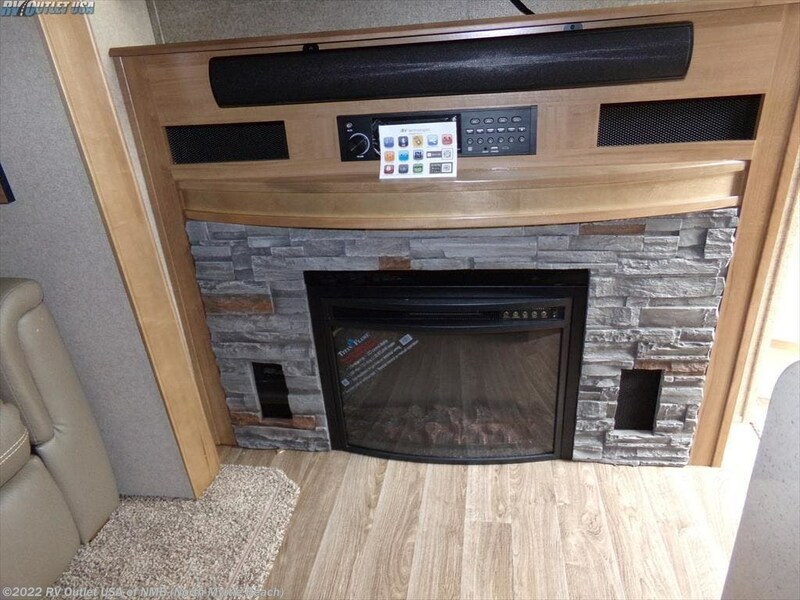 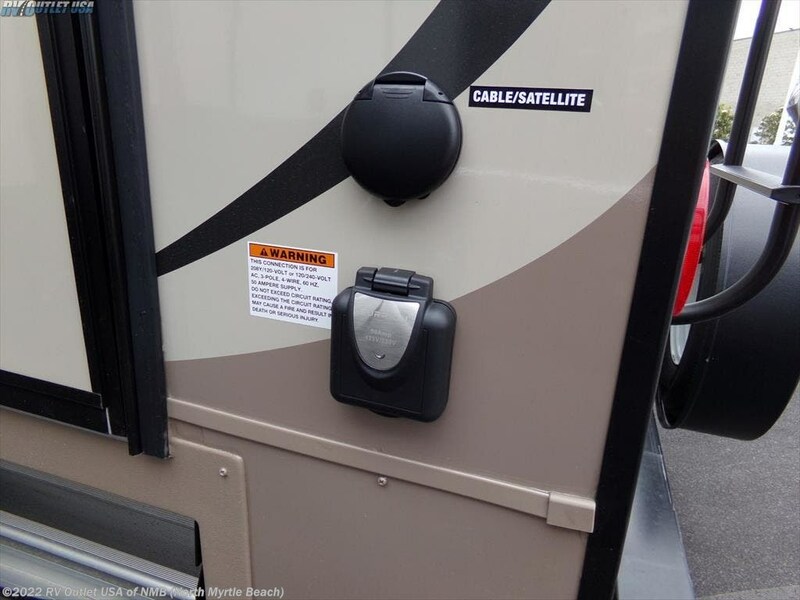 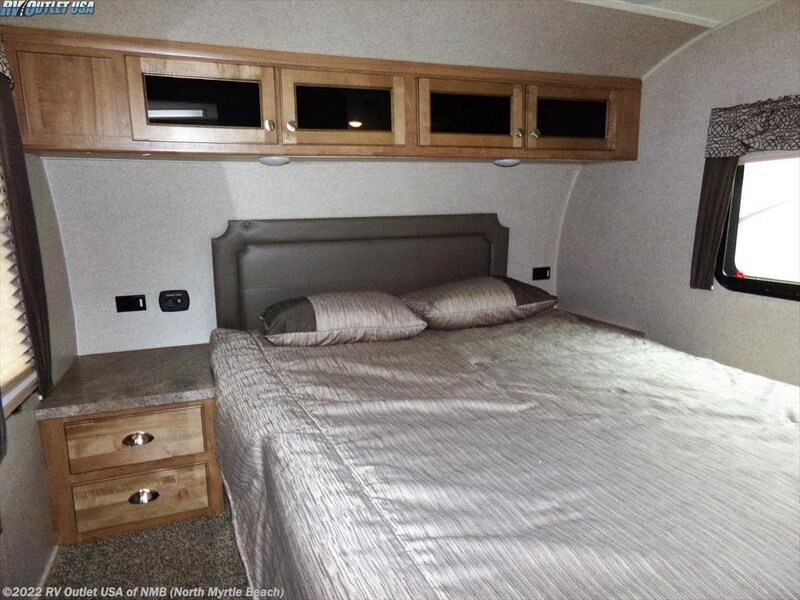 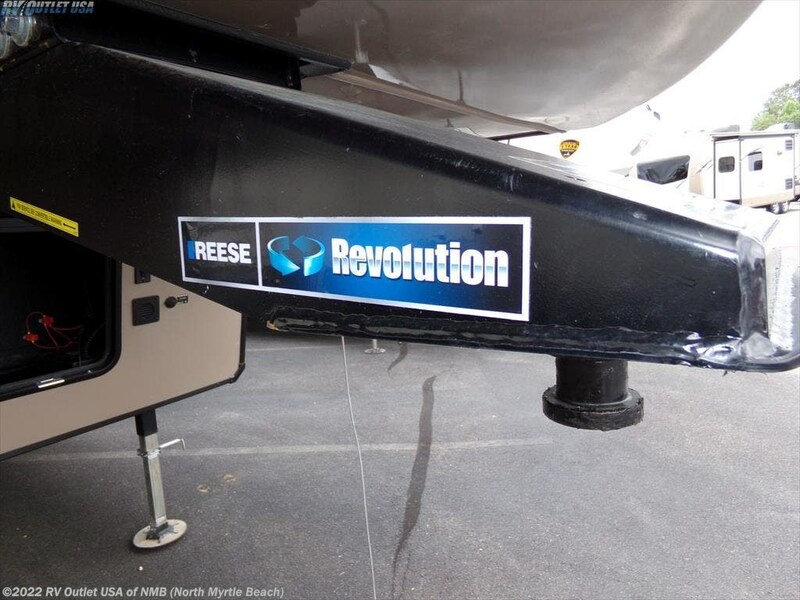 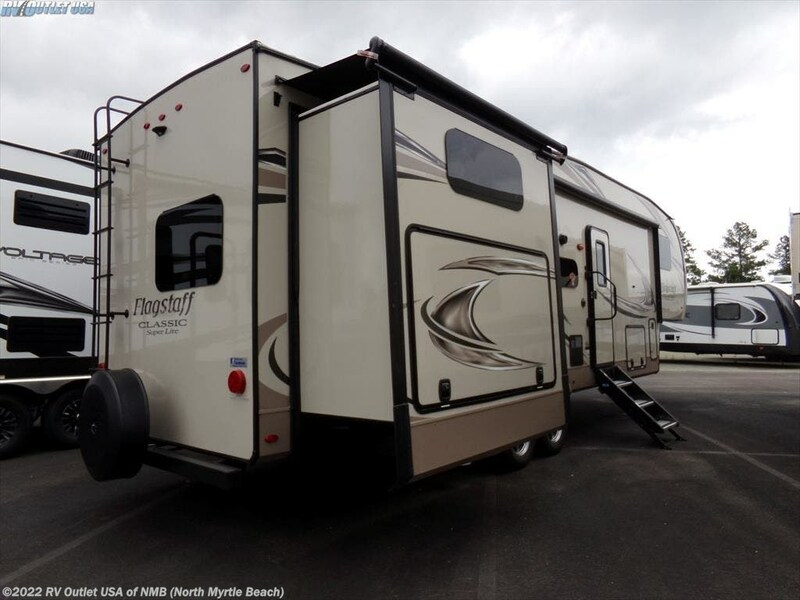 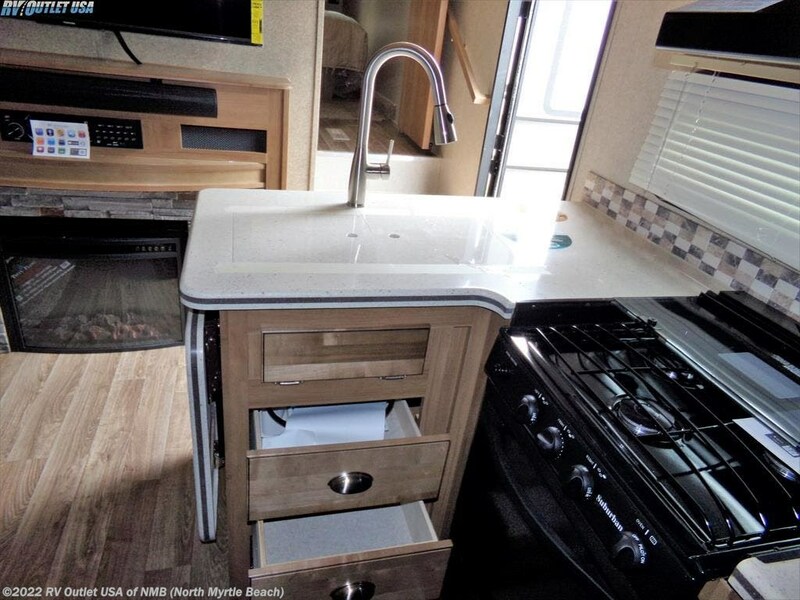 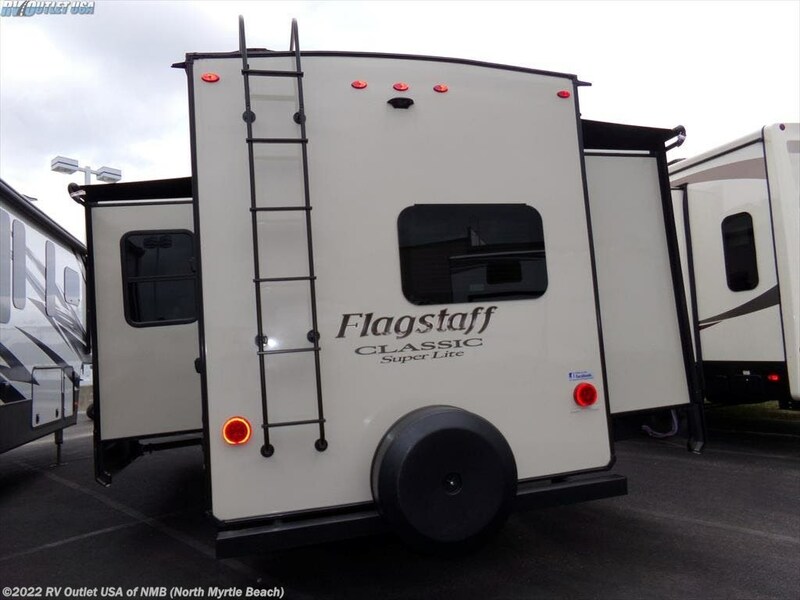 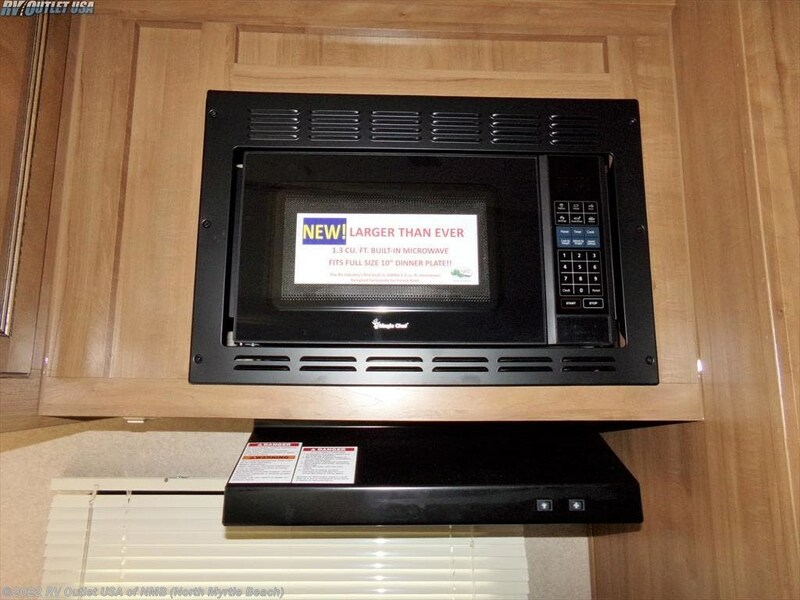 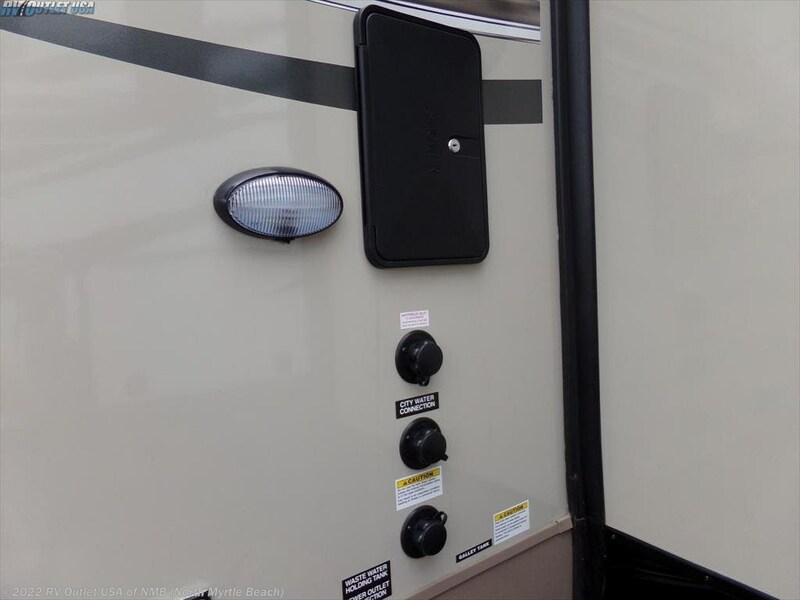 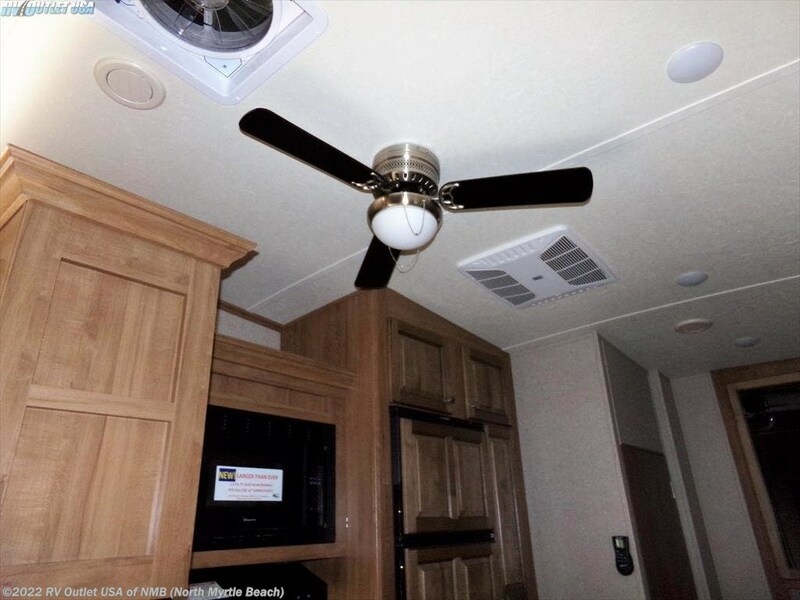 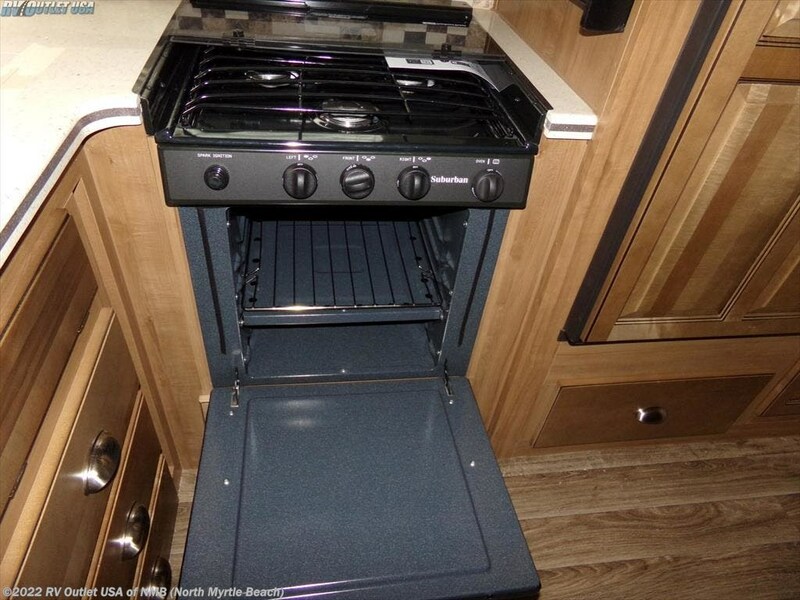 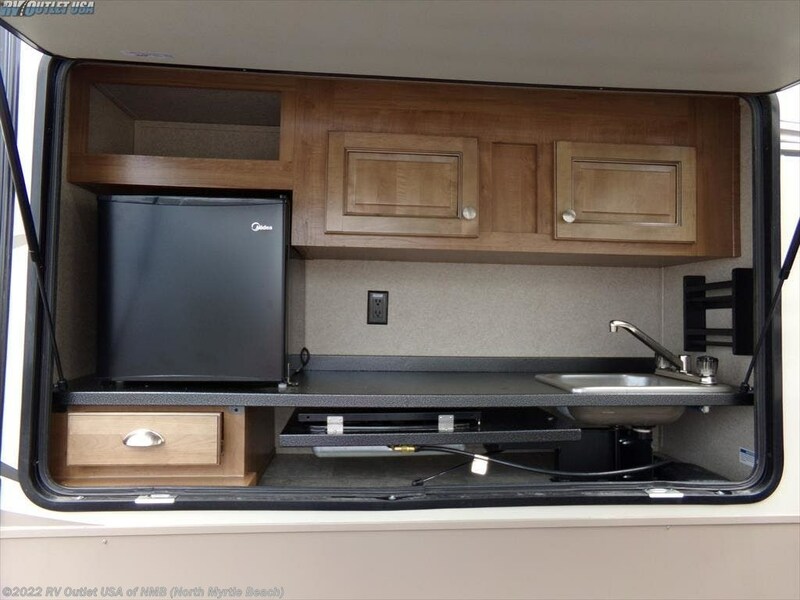 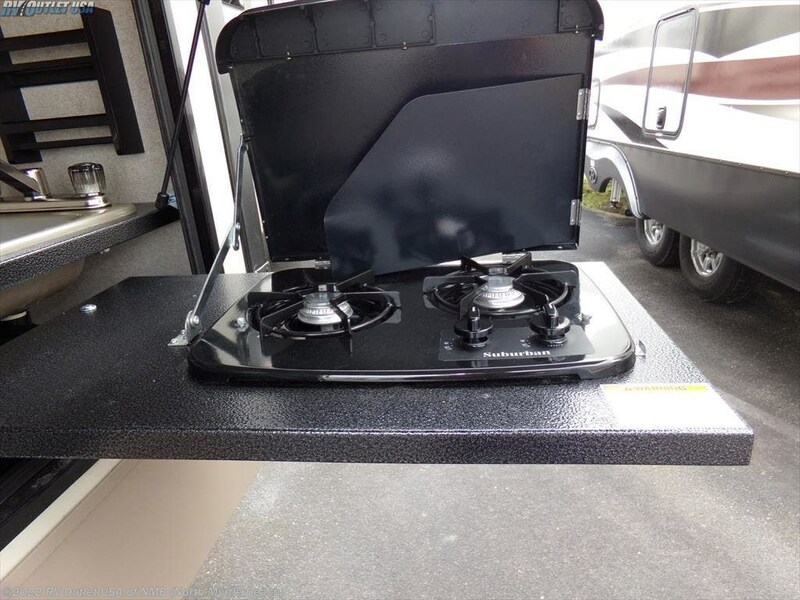 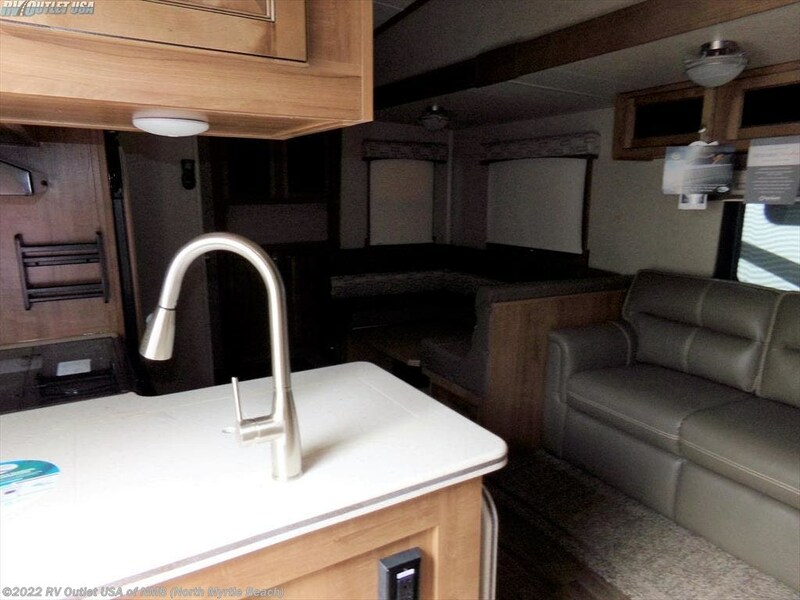 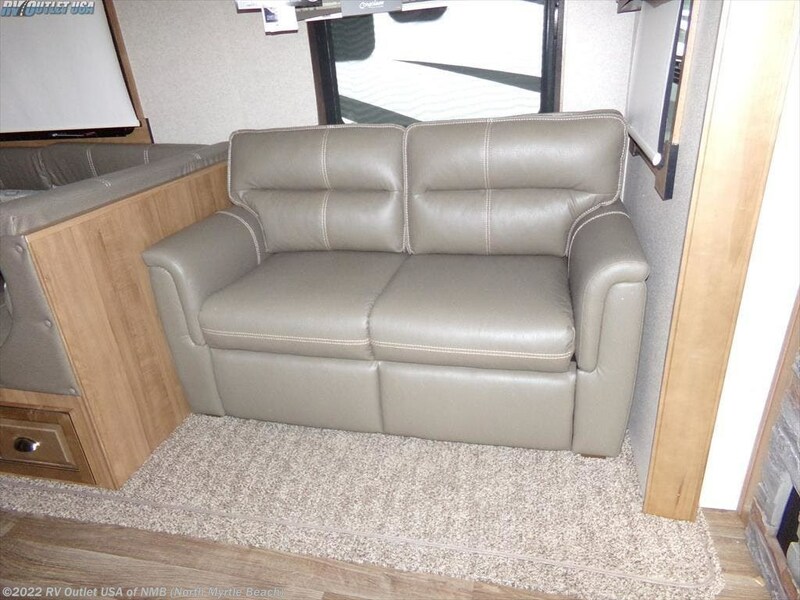 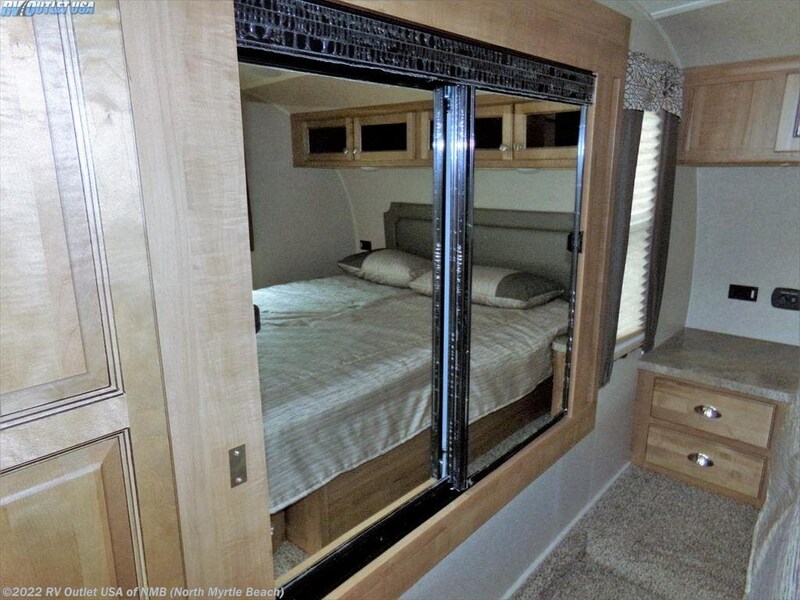 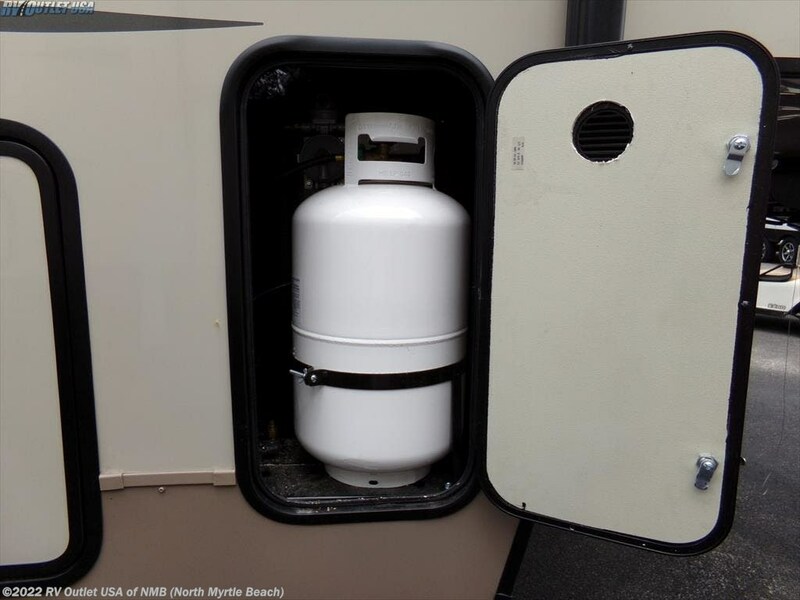 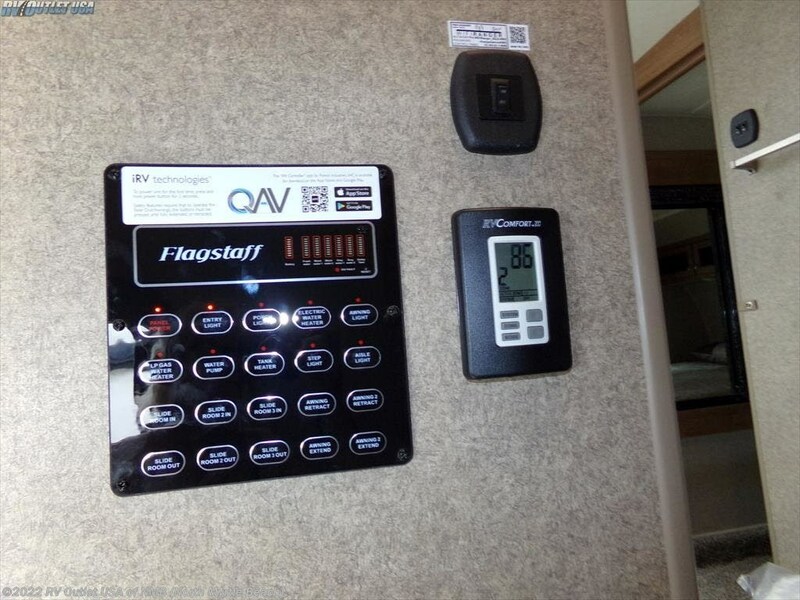 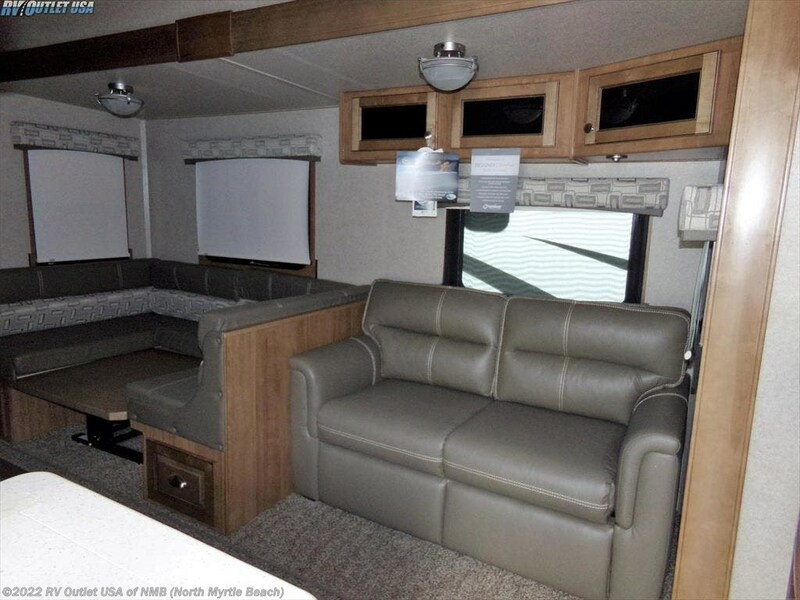 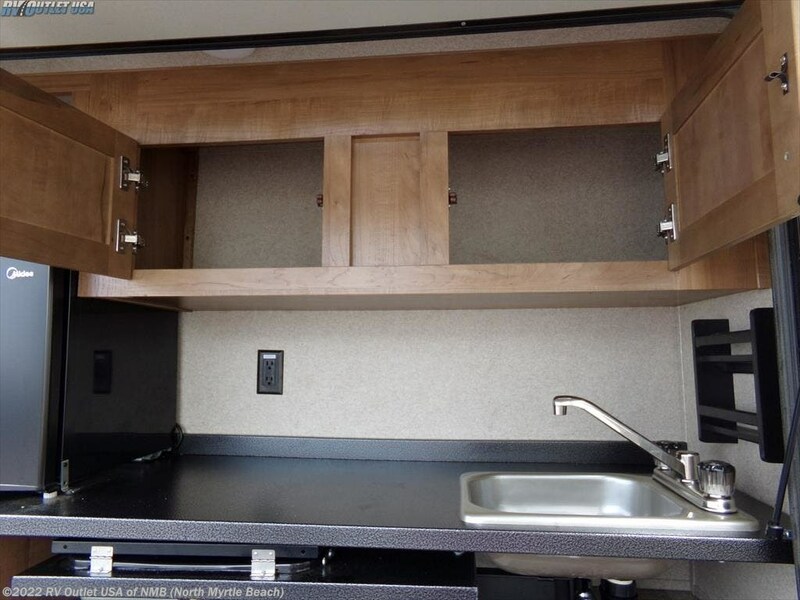 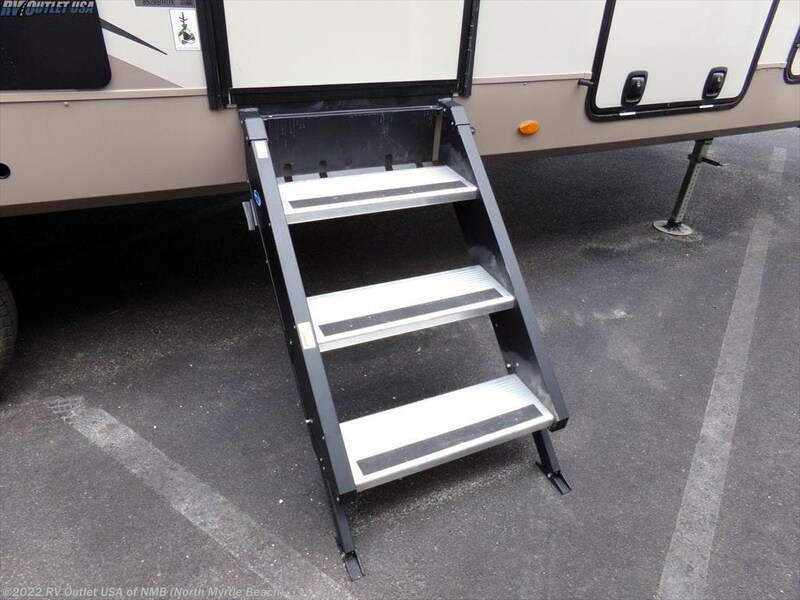 This RV is loaded with features like the maxxair fan cover with wall switch, spare tire and carrier, slide toppers, power awnings, fireplace, outside kitchen and LED lighting, just to name a few. 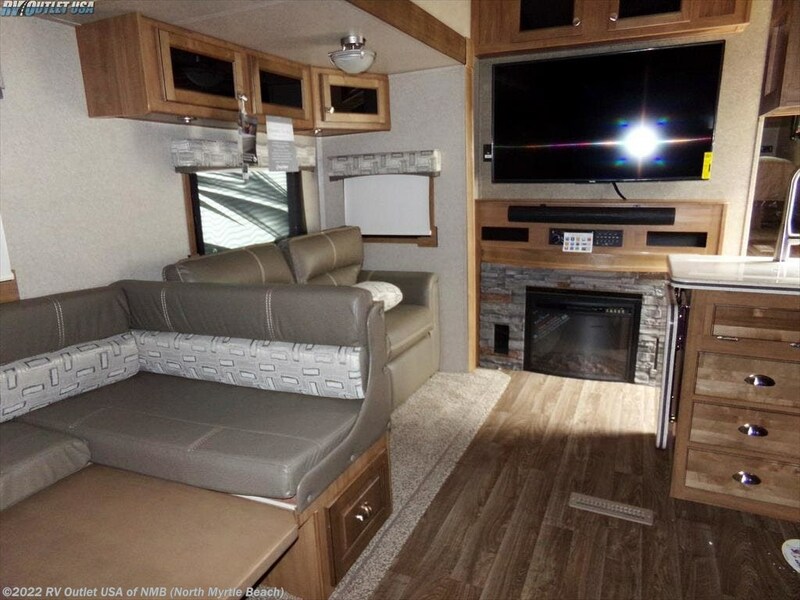 The floor plan offers a front bedroom with a flat screen LED TV, queen bed with underneath storage, wardrobe and linen closet on the slide and over head cabinets and night stands next to the bed. 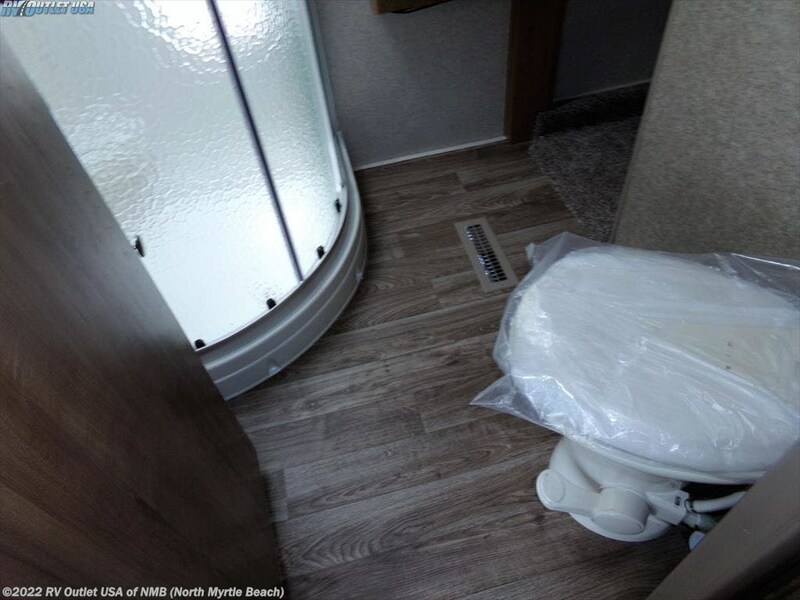 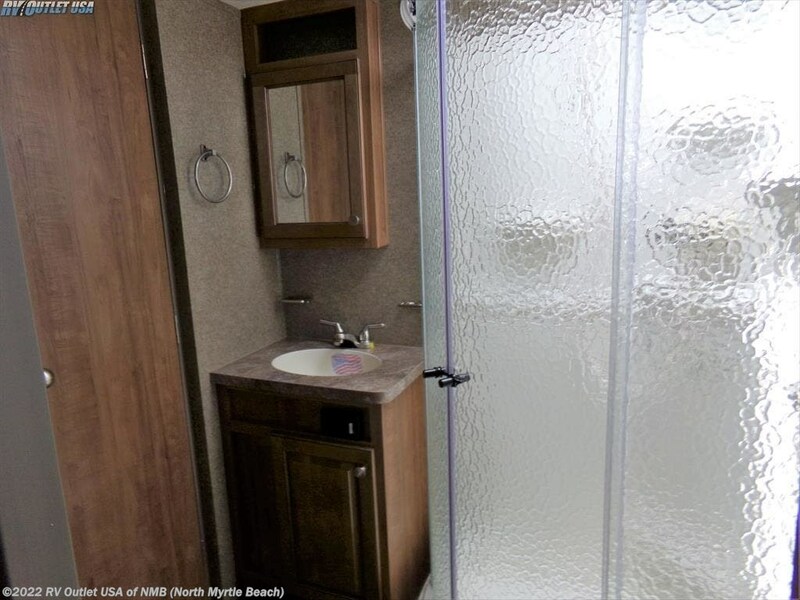 There is also an enclosed bath with a radius shower, foot flush toilet, medicine cabinet and sink. 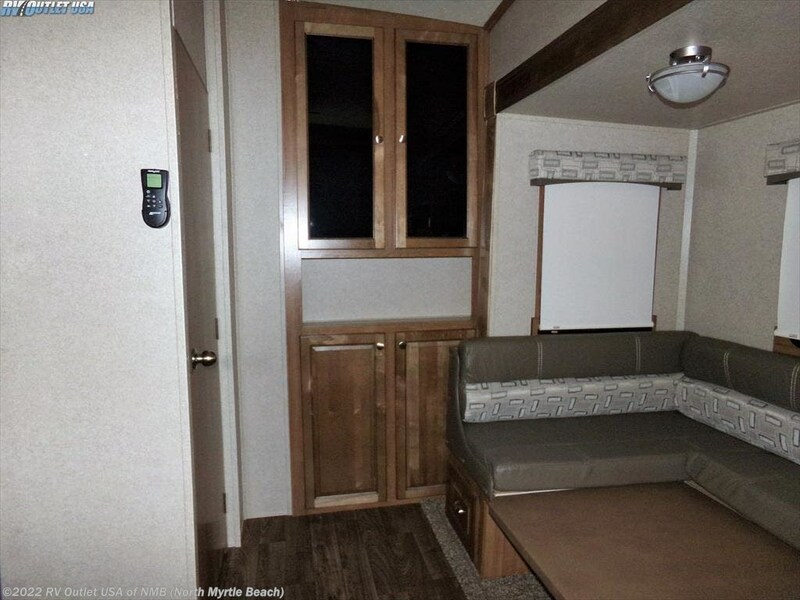 In the living area it has a slide on the off door side which has a sleeper sofa, overhead cabinets, and a king U-shaped dinette that folds down for extra sleeping room. 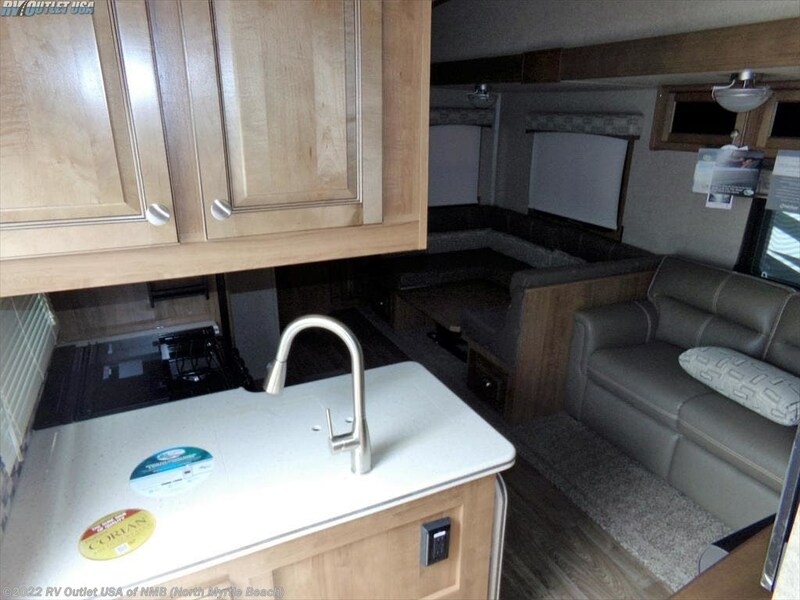 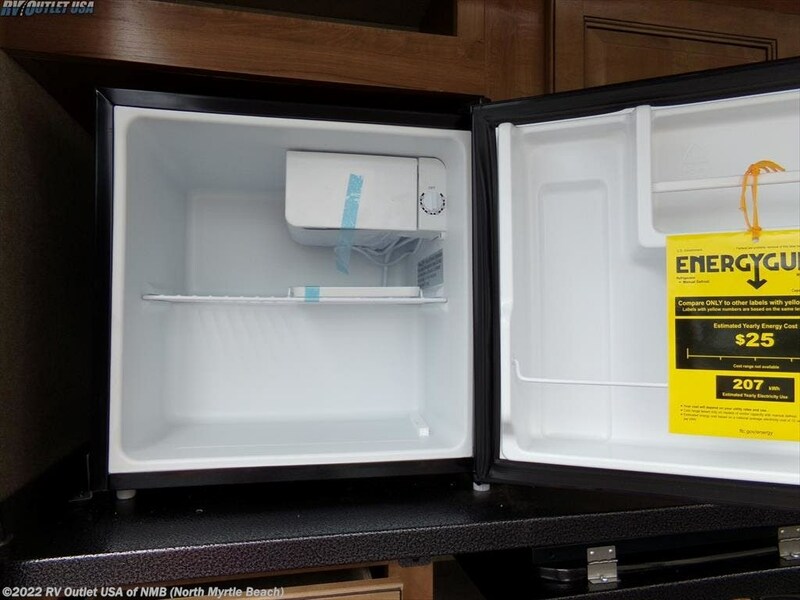 Across from the slide on the door side is a full galley with a (3) burner recessed stove top, solid surface counter tops, a range hood with light, a microwave oven, a pantry, and a refrigerator. 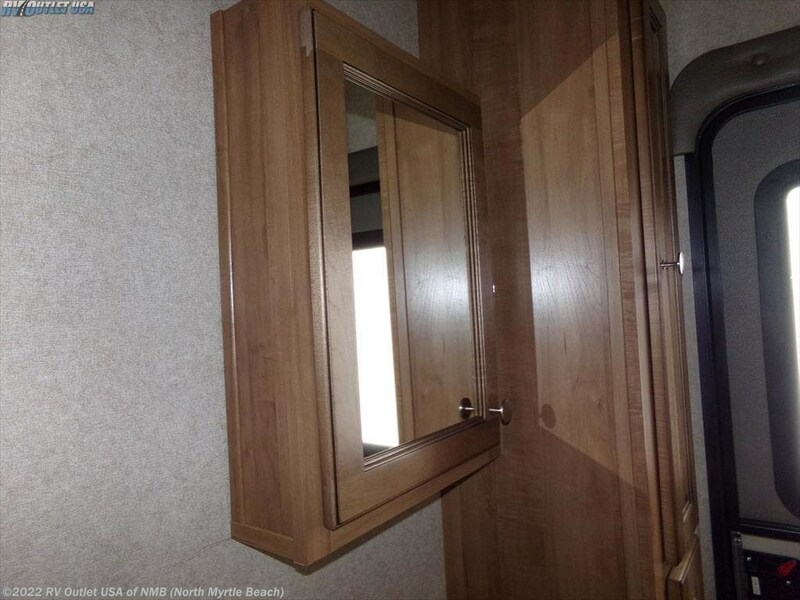 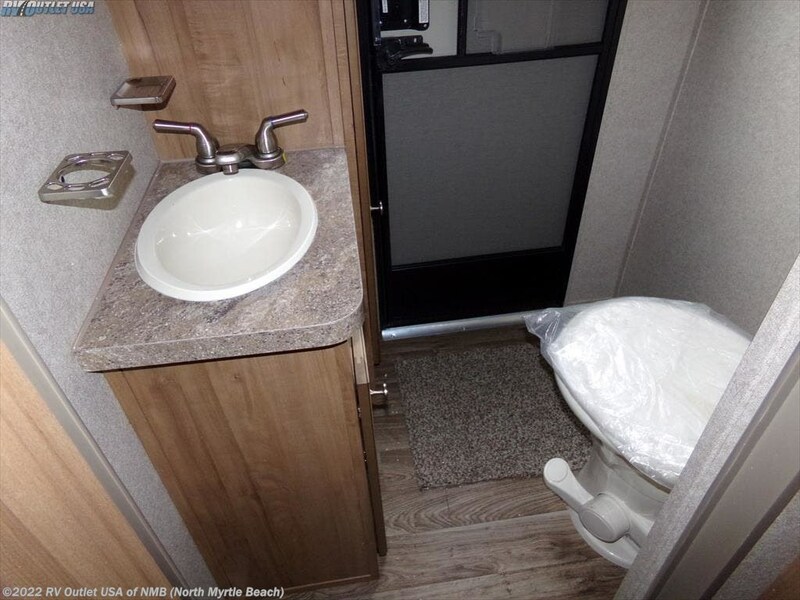 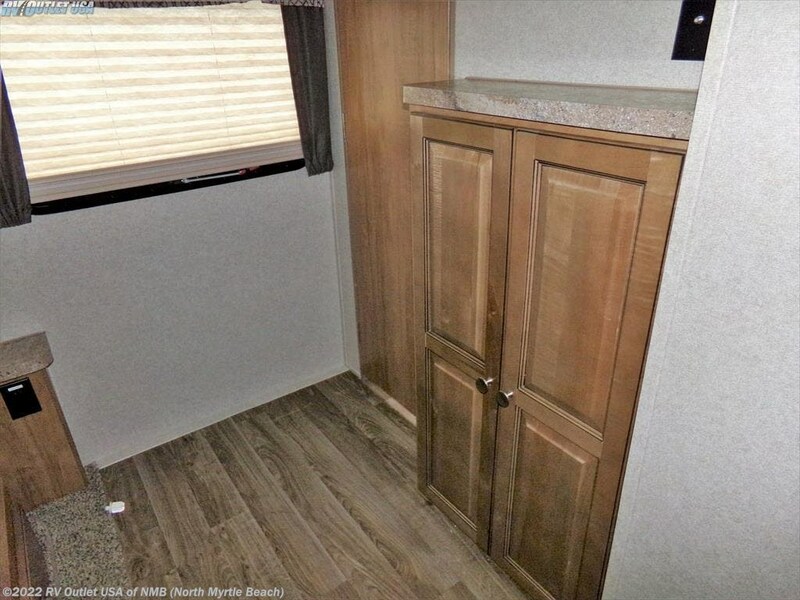 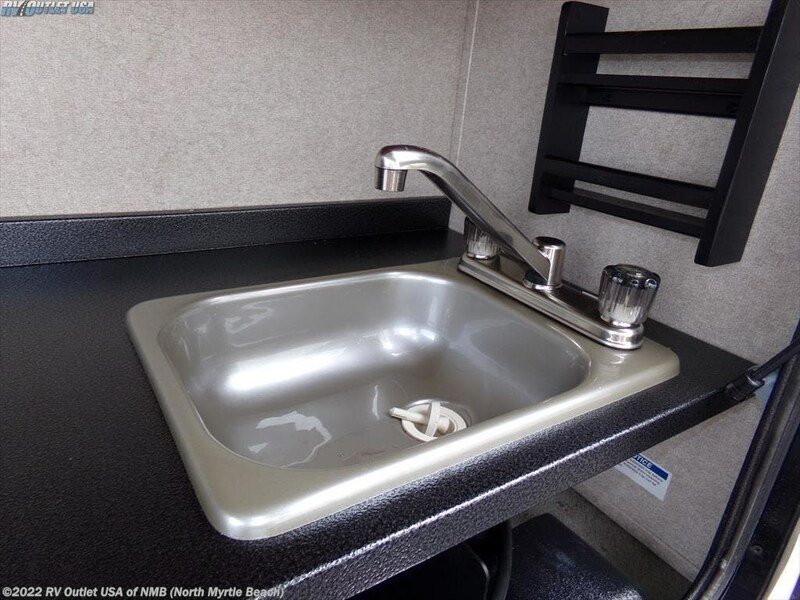 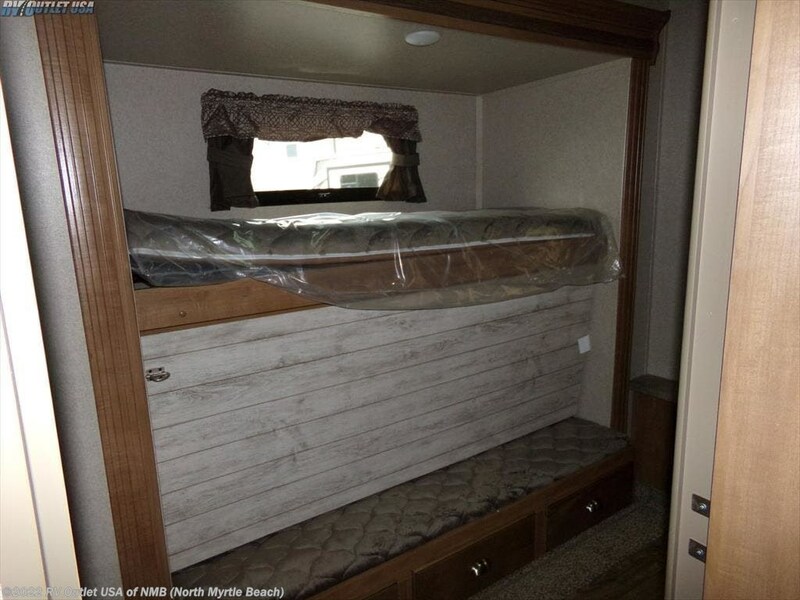 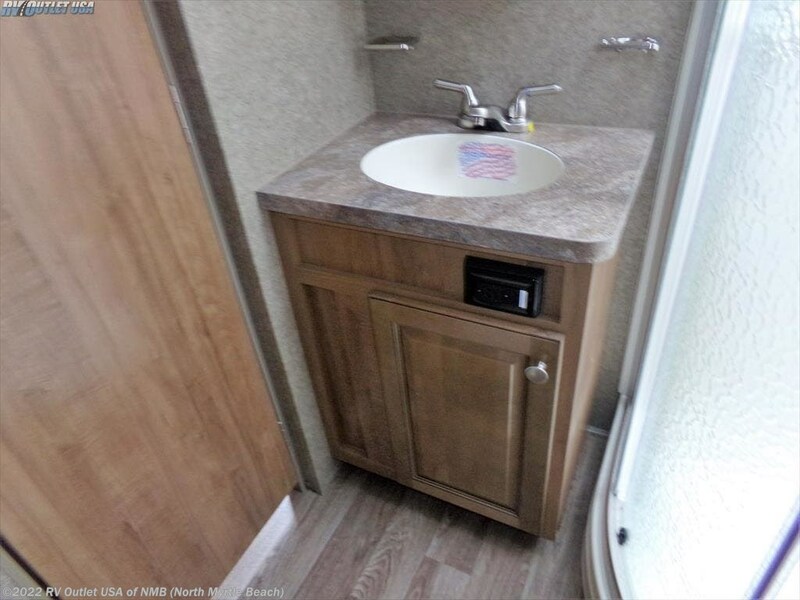 At the rear of this RV is the bunkhouse that offers plenty of sleeping room for the children with a set of bunk beds on the slide and a half bathroom with a foot flush toilet, sink with medicine cabinet and cabinet space. 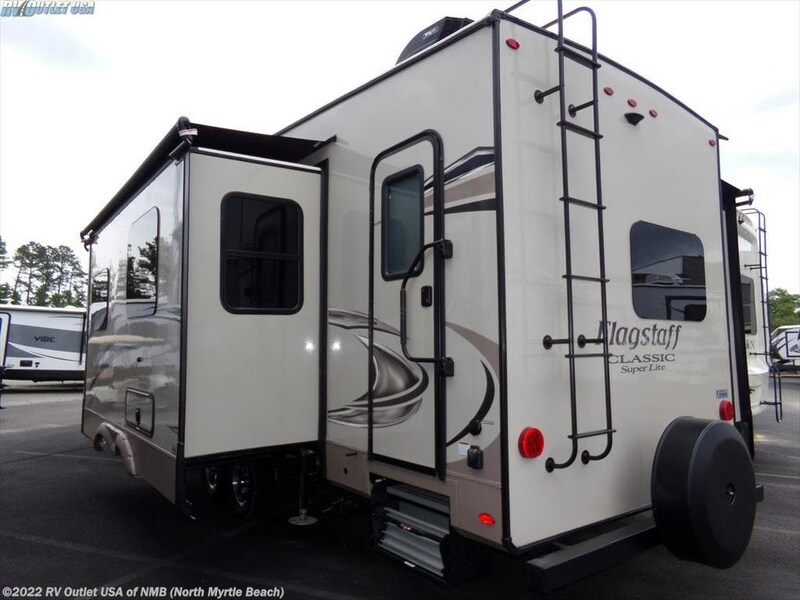 This is a super nice fifth wheel with a lot of very nice features and weighs only 9,183 lbs!